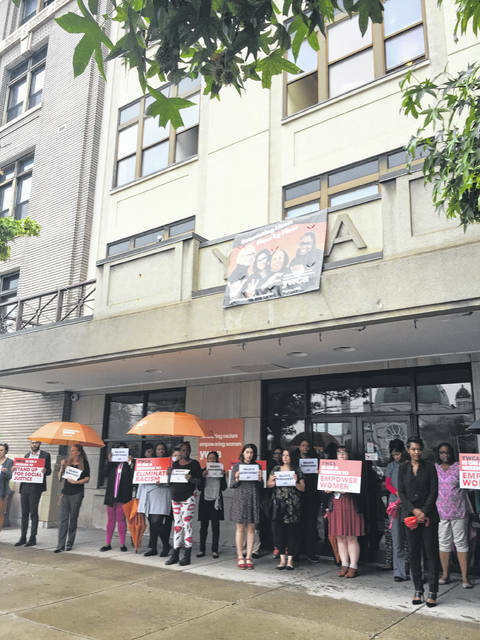 YWCA Dayton — including the Preble County office — participated in National Walkout and Moment of Solidarity on Monday, Sept. 24. Operations were stopped in the afternoon, allowing for those participating to walk out with solidarity for survivors of sexual and domestic abuse. 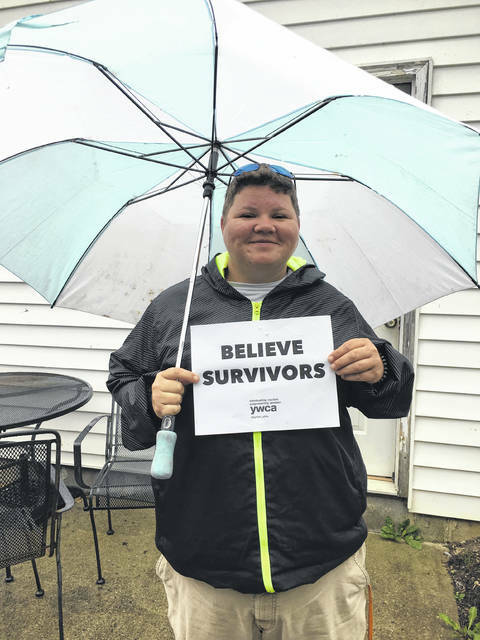 DAYTON — YWCA Dayton — including the Preble County office — participated in National Walkout and Moment of Solidarity on Monday, Sept. 24. Operations were stopped in the afternoon, allowing for those participating to walk out in solidarity with survivors of sexual and domestic abuse. As the largest network of domestic and sexual violence service providers in the United States, YWCA – including the offices in Montgomery and Preble counties – is on the ground, providing safety and support to half a million women and children each year who are fleeing violence. •Every 90 seconds another American is sexually assaulted. •One in four women will experience domestic violence and, on average, more than three women are murdered by their current or former partner every day. •Gender-based violence occurs across all races, classes and ethnic backgrounds, though at disparate rates and with disproportionate impacts for women of color. “Since 1870, YWCA Dayton has sheltered, fed, housed, educated, and walked beside women at their most vulnerable; women who have been neglected, battered, diminished, overlooked. But we also meet women at their most courageous. We meet them with solidarity. We meet them with belief,” Shannon Isom, President and CEO of YWCA Dayton, said. “YWCA Dayton has long been a safe haven for women and children fleeing abuse and assault. We envision a world where every woman knows the peace that comes with safety, the justice that comes from breaking down barriers, the freedom that comes with choice, and the dignity that comes with empowerment,” she continued. https://www.registerherald.com/wp-content/uploads/sites/41/2018/09/web1_National-Walkout-2018-YWCA-Dayton-Preble-County-Office.jpgYWCA Dayton — including the Preble County office — participated in National Walkout and Moment of Solidarity on Monday, Sept. 24. Operations were stopped in the afternoon, allowing for those participating to walk out with solidarity for survivors of sexual and domestic abuse.